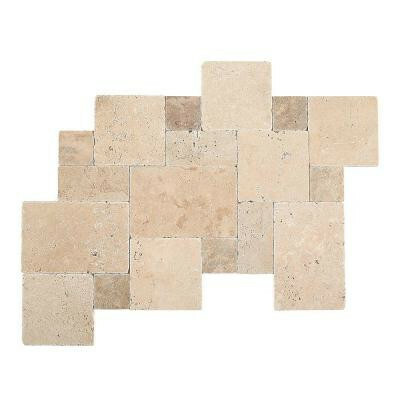 Add a beautiful random rustic pattern to any design with the Tumbled Stone Peruvian Paredon Pattern Cream Natural Stone Floor and Wall Tile. Tumbled stone is the perfect accent to add excitement to any tile installation. Multiple colors, styles and sizes selection offer unlimited options. Each kit contains a paredon pattern kit with 18 pieces featuring 4 different sizes that will add variety and beauty to any floor or wall. You can buy this product in our internet market. We will be glad if you make the right choice.